As the Middle East conflict enters its most violent phase, Tom Segev offers a lively, contentious polemic against cherished and rigid notions of Israel's national unity and culture. In his many works of history, Tom Segev has challenged the entrenched understanding of crucial moments in Israel's past. Now, in a short, sharp, polemical book, Segev has turned his sights from Israeli history to confront some revered assumptions about the country today. 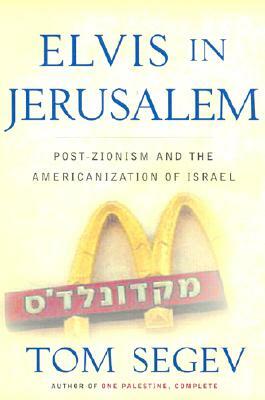 Drawing on personal experience as well as all kinds of artifacts from Israeli popular culture -- shopping malls, fast food, public art, television, religious kitsch -- Segev offers a controversial point of view: the sweeping Americanization of the country, rued by most, has had an extraordinarily beneficial influence, bringing not only McDonald's and Dunkin' Donuts but the virtues of pragmatism, tolerance, and individualism. And, in the fierce battle over the future of Zionism, Segev welcomes the diffusion of national identity and ideology that has taken place in the last decade as a harbinger of a new spirit of compromise and openness. At a time of crisis, as Israelis and Palestinians retreat to their most embattled positions, Segev's colorful, provocative book is sure to spark heated debate. Tom Segev is a columnist for "Ha'aretz," Israel's leading newspaper. He is the author of three now-classic works on the history of Israel, among them "One Palestine, Complete: Jews and Arabs Under the British Mandate," which received the National Jewish Book Award and was one of "The New York Times's" nine best books of 2000. He lives in Jerusalem.